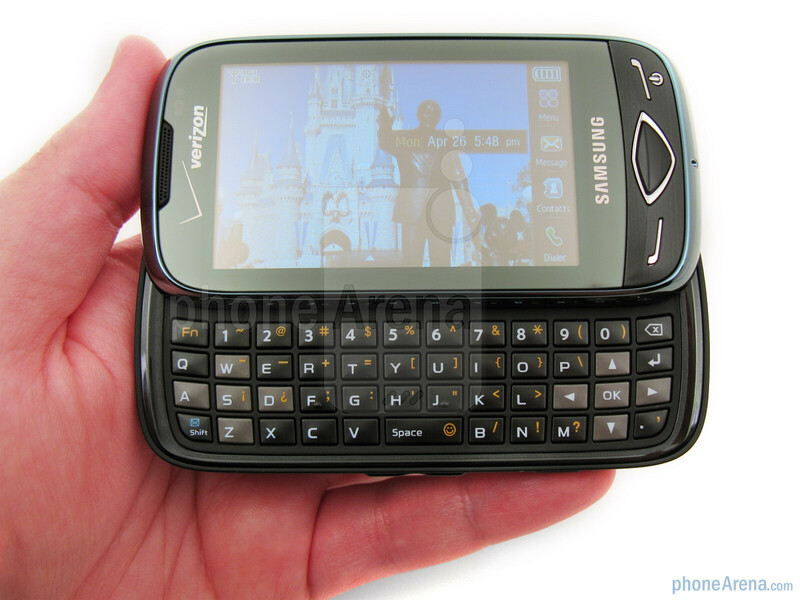 Touchscreen phones and messaging phones with QWERTY keyboard have become popular devices recently, and it’s now common to see these two technologies merged together. Two years ago Samsung gave it a try with the Glyde U940, but the capacitive touchscreen was plagued with problems and the keyboard had a poor layout. Then last year the manufacture replaced it with the Samsung Rogue U960, which used a resistive touchscreen and had a better designed keyboard, but also featured an AMOLED display and a 3MP autofocus camera with flash. 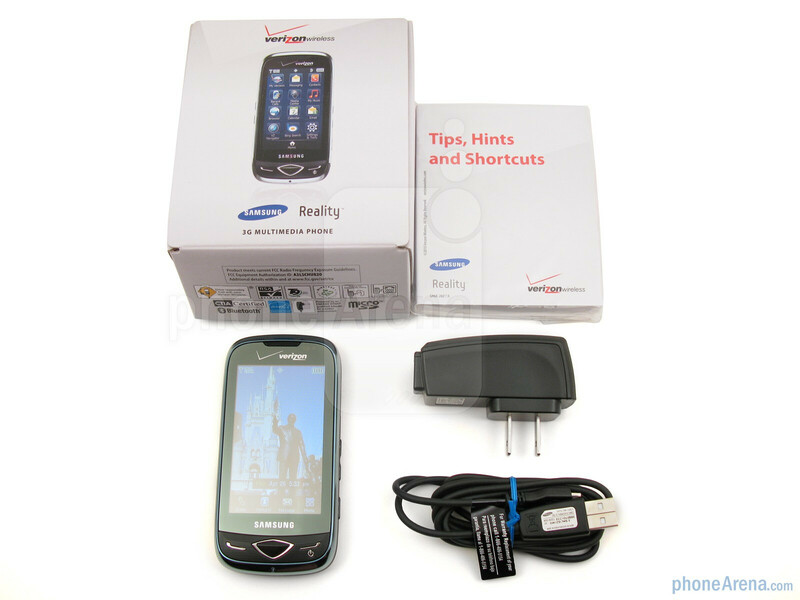 Now Verizon Wireless has introduced a new model, the Samsung Reality U820, but just because it’s newer doesn’t mean it’s better than the Samsung Rogue, as it has a traditional TFT display instead of the AMOLED, and the camera lacks the autofocus and flash. 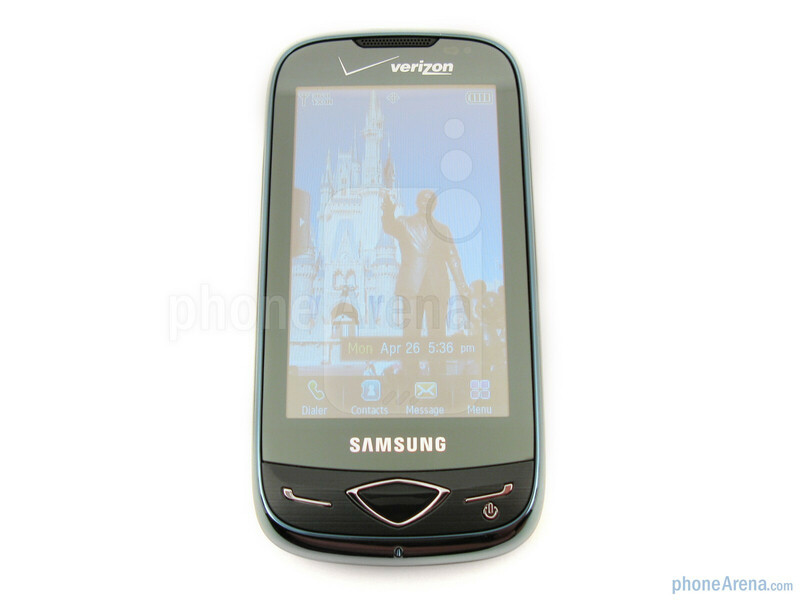 This positions the Samsung Reality U820 to compete more directly with the LG enV3 VX9200 as both are mid-level messaging phones that sit below the higher-end LG enV Touch VX11000, but are still a step-up from the budget Samsung Intensity U450 and LG Cosmos VN250. Included in the retail package is the Samsung Reality U820, 1080mAh battery, wall charger with detachable microUSB data cable, and user guides. 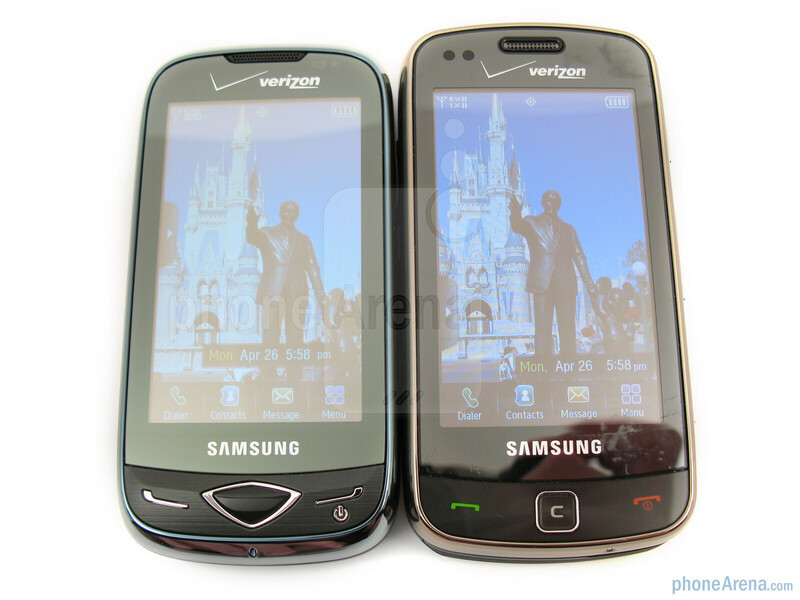 There are several phones in Verizon’s line-up that are offered in different color choices, and the Samsung Reality U820 is one of them, as it’s available in City Red and Piano Black (as reviewed). Both variations are constructed out of plastic throughout and have a glossy finish on the exterior. 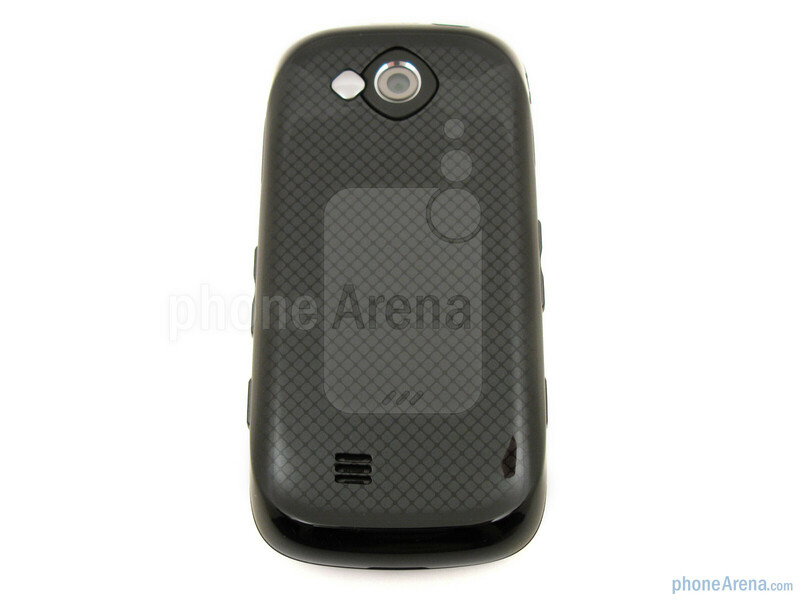 This includes the battery cover, which feels smooth and slippery, instead of having a raised texture like on the Samsung Rogue, or a soft-touch coating as found on the LG enV3 and Samsung Intensity. Because of this, the Reality can slip out of your hands if you’re not careful. 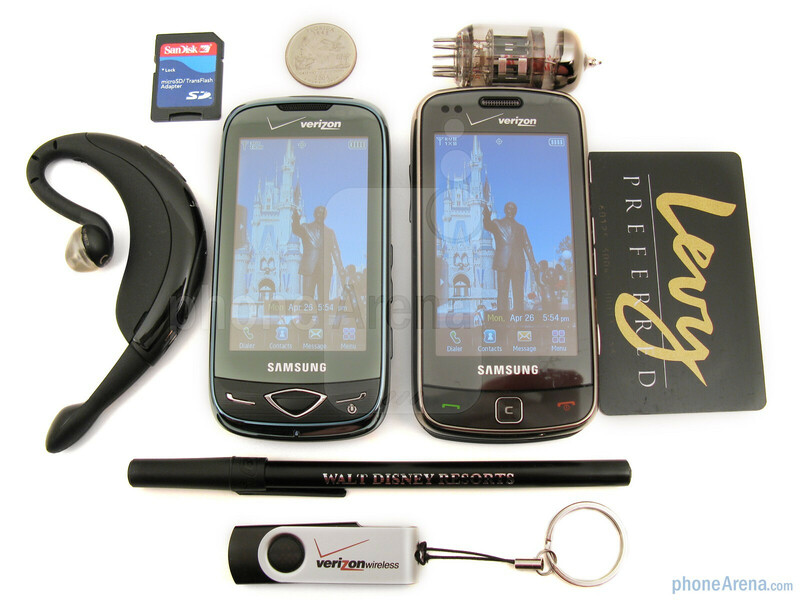 Overall it’s slightly smaller than the Samsung Rogue, but still not as compact as the LG enV3. Despite this, the Reality feels comfortable due to its size and rounded edges, and it can be discreetly slipped away into your pants pocket. You can compare the Samsung Reality U820 with many other phones using our Size Visualization Tool. 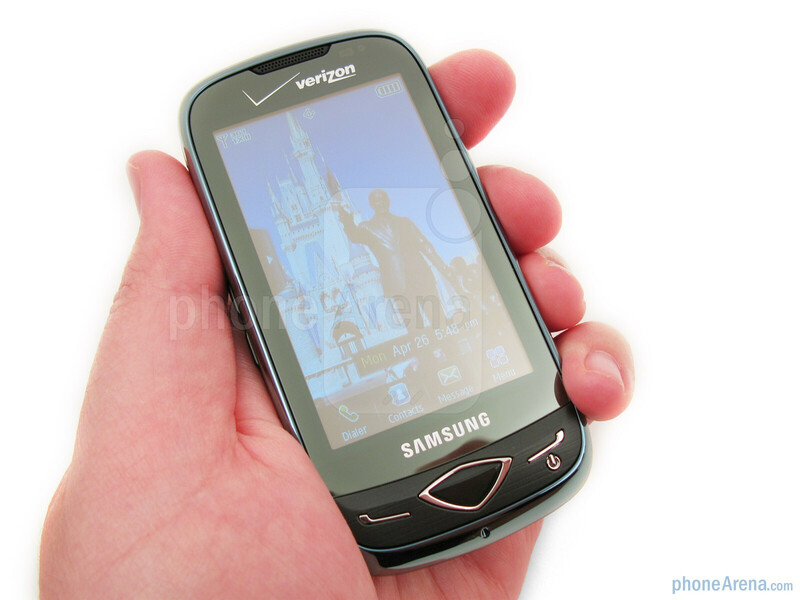 Just like with the Samsung Rogue U960, the Reality U820 features a resistive touchscreen. 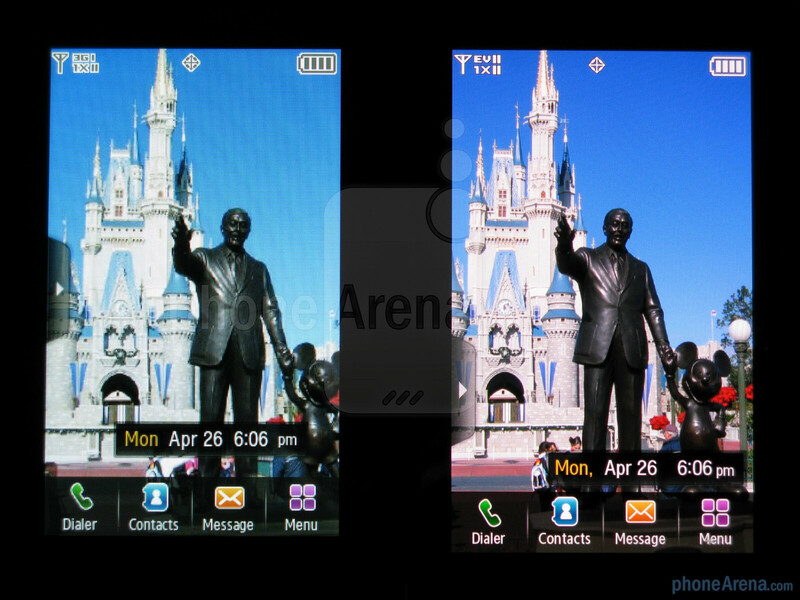 Both are equality responsive and don’t require a lot of pressure to be pressed, but instead of coming with a high resolution WVGA AMOLED display, the Reality uses a 3-inch 240x400 pixel resolution TFT display, which is capable of 262K colors. When the Reality and Rogue are next to each other, you can tell the difference quite easily, as images and text on the Reality aren’t as detailed and colors aren’t as vibrant. 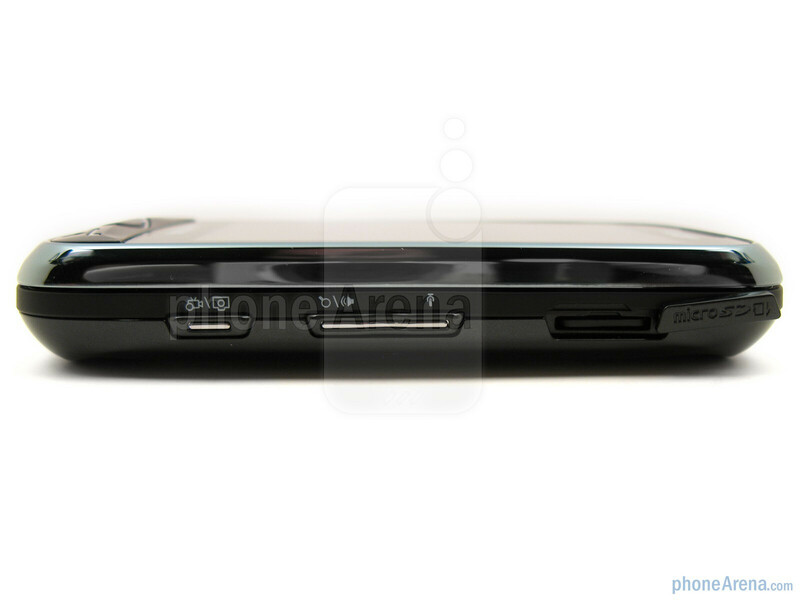 But with the Reality next to the LG enV3, the advantage goes to the Reality. 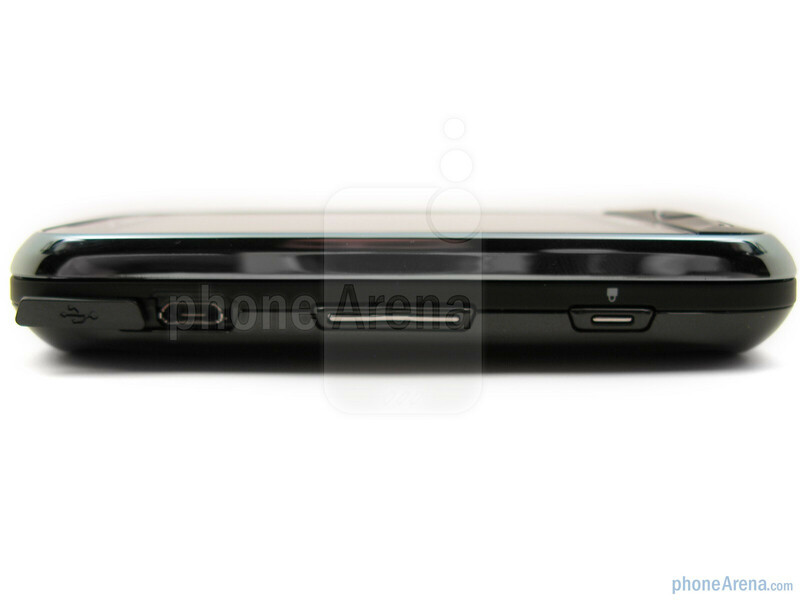 Located under the display are the send, end, and back buttons, but they do not light up, and around the sides of the phone are the volume rocker, lock key, standard microUSB port (instead of the proprietary port on the Rogue), camera button, voice command and speakerphone buttons, as well as the microSDHC memory card slot that supports up to 16GB cards. 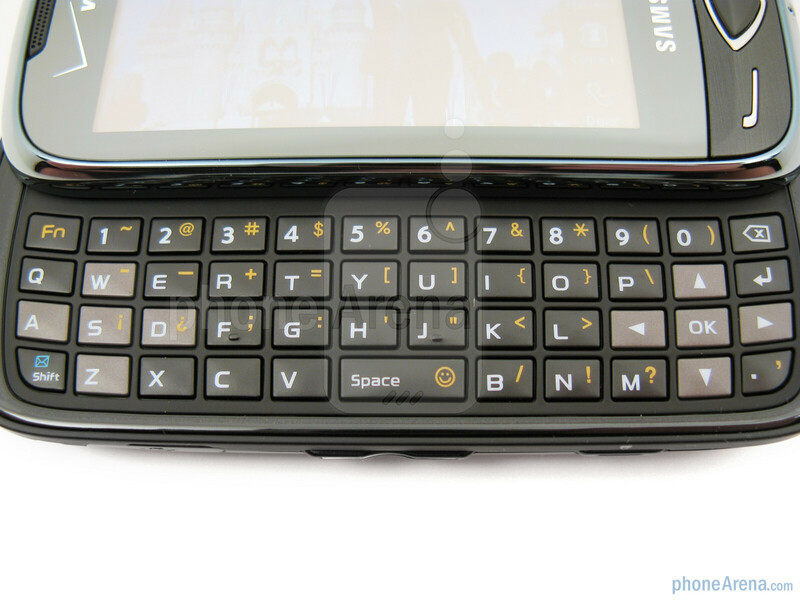 Another feature carried over to the Samsung Reality U820 from the Samsung Rogue U960 is the sliding 4-row QWERTY keyboard. 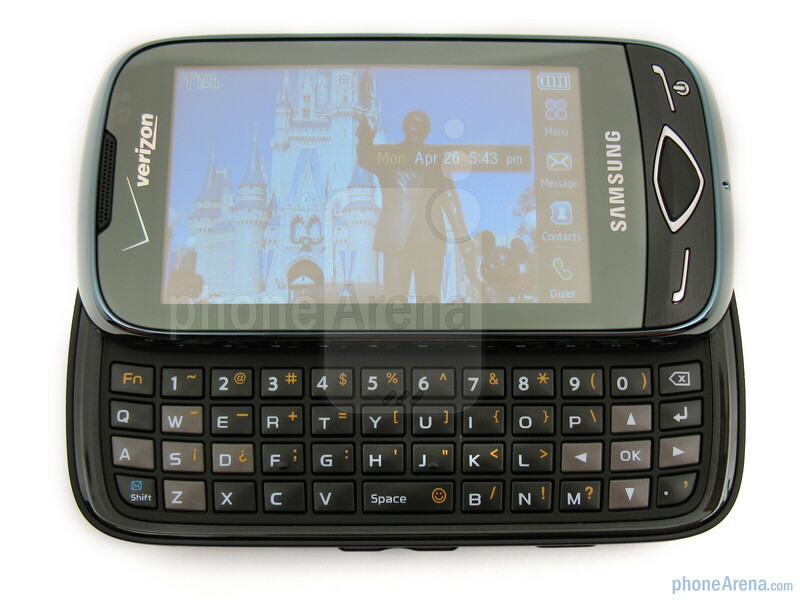 Their layout is nearly identical, except for the location of the emotion key (smiling face) and the OK button, but the keyboard on the Reality curves slightly up on the left and right sides, somewhat similar to a BlackBerry, while the keyboard on the Rogue is straight across. These minor differences don’t affect its overall usability, as both keyboards have average sized keys that provide good feedback when pressed. 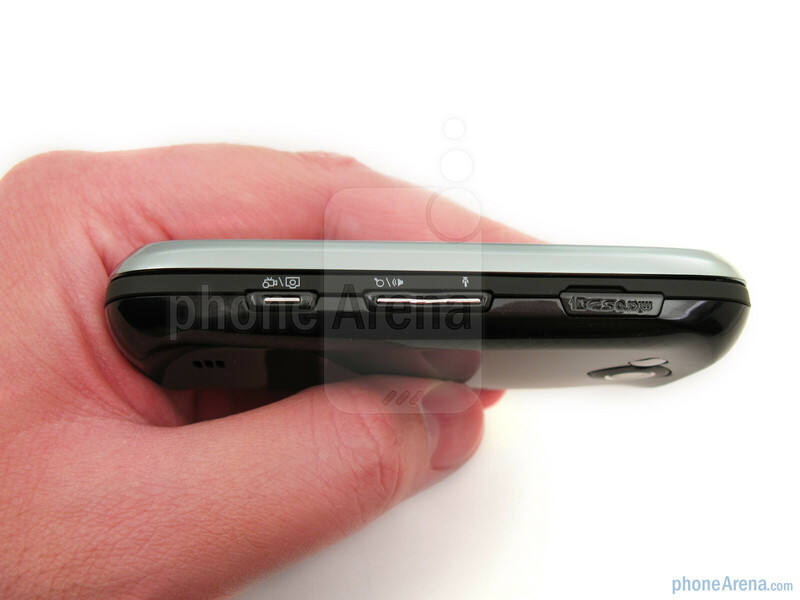 However, we still prefer the keyboard on the LG enV3, since its keys are a little larger and the d-pad is completely separate on the right side.